It is enjoyed by millions of connoisseurs around the world, but in recent years chocolate has started to leave an unpleasant aftertaste. 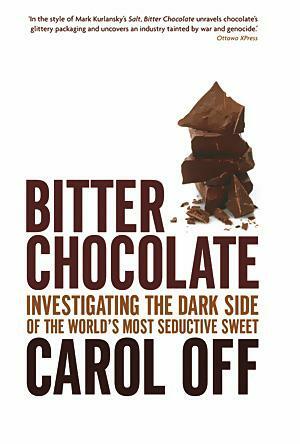 Canadian author Carol Off, whose book alerted readers to the ethical quagmire of chocolate consumption when it was released two years ago, is currently in Australia to talk up the topic. Her book, Bitter Chocolate, lifted the lid on the use of child slavery in the cocoa plantations of West Africa. The link between slavery and chocolate is as old as history, Off said. "There has always been a case where cocoa has been produced by people who didn't have a lot for people who do," she said. "The Aztecs and the Mayans produced cocoa for the King of Montezuma and in Europe they produced slaves to harvest cocoa beans for the chocolate fanatics of Europe." Things haven't changed, she says. "We have chocolate bars today that seem to be cheap and affordable even to a child ... but the truth of the matter is we can only afford this chocolate because people who are picking the beans and cultivating it are children in West Africa," she said. "A lot of children voluntarily go (to the plantations) because there's nothing for them in countries like Mali. "Their crops are failing and nothing is growing in that part of the world, So a lot of the kids are sent off by their parents to get some money. "But child traffickers see the vulnerability of these kids, there's nobody watching over them and they round them up and take them over the border into the Ivory Coast and make money from them." It is difficult to help these children, Off says, because much of the Ivory Coast, which produces most of the world's cocoa supply, is torn by civil war. The government uses profits from the cocoa trade to fund the war, Off says. "The complicity here is with them and the big chocolate companies." "There are only a handful of multinationals that control the industry and basically they are able to operate with impunity in Africa and Ivory Coast because everybody that has power over the situation is getting what they want." Fair trade systems were having a small impact, Off said, but would never provide a full solution. "They pay a premium to the farmer, the chocolates are more expensive and the profits go back to the farmers. "Where I went in those situations, the kids are going to school, there was health care, clean water and all these things were paid for by fair trade premiums - but there's so few of them. "It represents not even one per cent of all the cocoa being produced, so the vast majority is under this other system." The CEO of The Confectionery Manufacturers of Australasia (CMA), Trish Hyde, said the CMA was a part of a global initiative to eliminate child slavery and forced labour in the industry. She said the CMA and other chocolate companies from around the world were working with the governments of the Ivory Coast and Ghana to help eliminate child slavery and forced labour. "The important thing is from our perspective is the collaboration with government and NGOs (Non-Government Organisations) on the ground, with industry programs ... that are actually making changes in the communities." The CMA says that in July this year it also helped implement a reporting system that would certify all labour on West African cocoa farms.